Watermelon Spritzer. And the winner of Ice cream challenge. 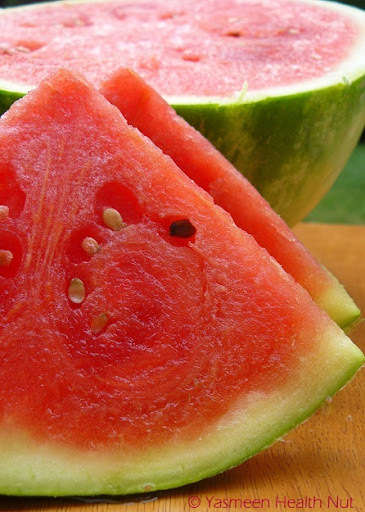 Who doesn't crave watermelon during the summer? A slice of fresh juicy crisp watermelon can quench the thirst better than any other fruit.Mid-summer has the best melons that are ripe,red and sweet. Much more satisfying than sugary sodas,the fizzy watermelon ice cubes spritzer is an amazing drink to chill off.The melon ice cubes keeps the drink cooler longer,alternately you could also make the drink by blending the melon with few ice cubes.But the ice cubes method yield a more intense melon punch,since the ice cubes are purely melons. 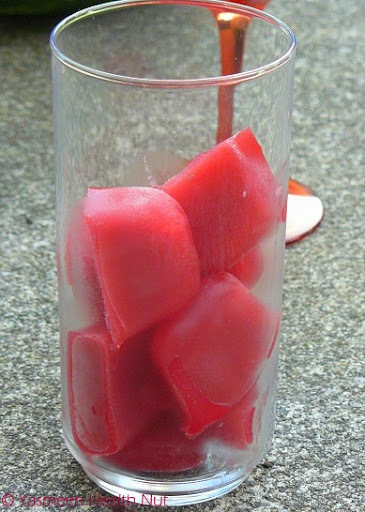 Puree the water melon in a blender until smooth.Pour in ice trays and freeze for 4-5 hours.Unmold the ice cubes,put about 5-6 of the frozen water melon cubes in each of the tall glasses and pour a cup of soda water in each.Serve immediately. Congrats! Kiran,a copy of Rachel Albert-Matesz's Ice Cream Cook Book will be on your way soon.Thanks again to all the participants,the challenge indeed brought out some unusual yet tasty ideas of home made ice cream. Watermelon sprizer looks really good. Congrats kiran. This is such a refreshing and energizing drink. Looks summery.... & Congratulations Kiran!!! 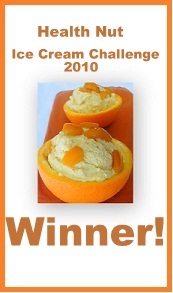 Thank you Yasmeen.I am very happy to know that I won the Healthy Ice Cream Challenge. Super refreshing drink ..Perfect perfect perfect!!!!. COngrats kiran. the watermelon spritzer looks great with that refreshing coulur. Congrats Kiran. Woww wat a interesting and refreshing drink, very tempting...Congrats to the Winner..
Beautiful spritzer.Congrats to the winner. Although lots of people don't like it, watermelon is one of my favourite fruits and this spritzer looks so refreshing and delicious!! Refreshing Drink and Congrats Kiran !!! The ice cubes is a neat idea,have to try it soon. Cutting a melon is more of a big challenge for me but otherwise I enjoy the fruit to the core.The spritzer is a real cool off summer drink. I like this without any alcohol,I don't have worry about the number of servings. 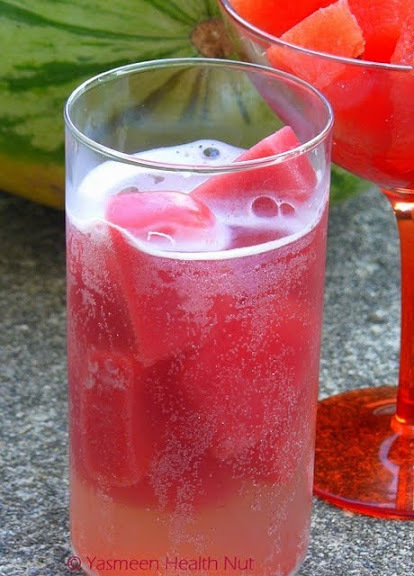 Love watermelons and this drink is so tempting..
Watermelon spritzer looks very refreshing ! Good that I found this cool melon spritzer,makea a perfect drink for my summer bbq party coming up soon. Congrats to the winner.The melon spritzer looks like a nice cooler. Oh this brings back fond memories for me. I was a "Mormon" missionary in Brazil many, many years ago (about 30 now, how time flies). They made the most wonderful drinks by adding soda water to tall glasses of fruit (some that were unique to Brazil). This has inspired me and, guess what? I have a watermellon in my kitchen already! I'm going out to get some soda water later today for a treat tonight! Thanks Yasmeen.